With all the fuss over the VW emissions scandal, voluntary termination has been a hot topic or many VAG owners. Many owners now consider their car a liability and are looking to move on. What many people fail to understand us their right to VT / voluntary terminate their vehicle finance agreement without penalty. What is VT / voluntary termination? Voluntary termination is a process by which you, the consumer have a right to terminate a regulated credit agreement when you have “paid off” 50% of the total amount payable. You are within your rights to terminate at any point after the 50% mark however if you are under this threshold you will be liable for the remaining balance which makes up the 50%. This process allows a vehicle to be returned before the end of the finance agreement with little to no penalties dues. More on that later. Essentially, as long as you’ve paid back over 50% of your agreement you can give the car back at no further cost. The voluntary termination process is covered under the consumer credit act 1974. You can read more about the Consumer credit act 1974 here – scroll down to section 99. You may only voluntary terminate a personal contract purchase (PCP) finance agreement. These types of agreements are very popular in the UK. They allow the financing of a car which may not be financially viable by a bank or fixed sum loan. PCP finance consists of a small deposit followed by a fixed term of repayments. 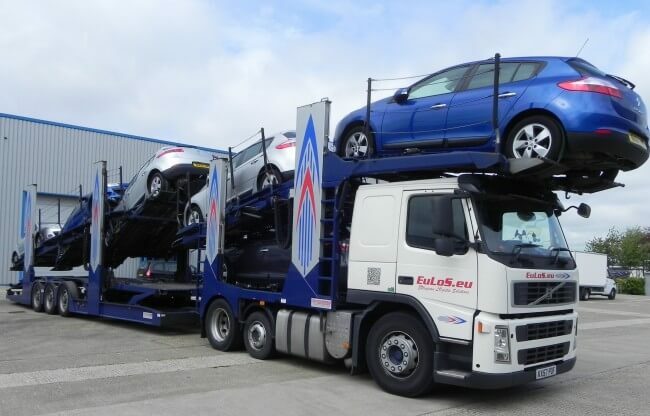 After this term the vehicle can either be handed back or the balance of the remaining value in the vehicle settled. Essentially the vehicle is owned by the finance company unless the “balloon” payment is settled. In essence you are simply paying off the depreciation of the vehicle, meaning you can afford a much higher value vehicle than one financed through a conventional repayment loan. This reduces monthly payments but may leave you with nothing to show for your payments if you simply return the car at the end of the agreement. How much to I need to have paid before I can voluntary terminate? In order to terminate your finance agreement using your right fo Voluntary termination you need to have paid at least 50% of the total amount payable. This value is the total amount payable and in no any way related to the current market value of the vehicle or the purchase price. Please note that as above the total amount payable also included the total interest payable for finance agreement. The full details you require to calculate for your VT figure should be shown in your credit agreement. If you are in any doubt about these figures you should speak to your lender to ensure you have the correct amount. Will Voluntary termination VT affect my credit rating? Choosing to Voluntary terminate your finance agreement will not affect your credit rating. It may however be marked on your file as V or VT, showing that you have chosen to end the agreement early using this process. This mark is visible to other lenders and could impact a future applications for this type of credit. Multiple VTs could result in refusal for credit or a higher interest rate. We’d like to hear from you if you’ve experienced this first hand. Will I be charged for excess mileage? If you have followed the correct procedure in terminating your agreement under section 99 of the consumer credit act, lenders cannot charge you for excess mileage. This is the case even if your contact specifically limits the allowable mileage permitted in your agreement. Your right to VT overrides any mileage restrictions imposed on the finance agreement meaning you can not be charged the Xp per mile as seen in many PCP agreements. Ensuring that your vehicle is well kept, serviced and MOT’ed will help your case when looking for a smooth termination. Unless you have damage outside of reasonable wear and tear then you should expect very little fuss when returning it. It’s not uncommon that lenders will try and charge a collection fee for a vehicle. You are not liable for any collection charges, these must be met by the lender. We suggest you confirm that this is the case before starting the VT process to stop any confusion going forward. We suggest that you take detailed photographs when you collect your vehicle and immediately before you VT. Most disputes relate to the condition of the vehicle when returned. These photos provide evidence that that the vehicle was kept in “reasonable” condition. Be sure to forward these photos to the dealer / finance company dealing with your VT to ensure no future claims of condition or damage can be made. Warning! Before you sign your VT agreement be sure to read the small print. Lender often had fees for admin or collection which you are not responsible for. Trying to recoup these costs after signing can be difficult, so please read all documentation carefully. If you are in any doubt then seek legal advice or contact the CAB. Despite what your dealer / lender or finance provider may say, below we have the cold hard facts about your right to impose a VT voluntary termination. When you voluntary terminate your agreement you are essentially handing back the car. You will not receive any further payments i.e. your deposit back. The Consumer Credit Act states that once you have invoked your right to terminate under section 99, lender’s cannot impose any further liability which includes charging for collection of the vehicle or any excess mileage charges. The vehicle will need to be returned in “reasonable” condition, taking into account wear and tear. The right to VT your finance agreement is written in law. Your finance company can not prevent you taking this option as long as you have paid back over 50% of the total amount due. Remember this. You have a legal right to voluntary terminate your PCP finance agreement. This is law. Any complains or disputes with regards to your finance agreement can be taken to the Financial Ombudsman (FOS). They will be able to assess your situation and resolve any issues accordingly. See the Financial Ombudsman website for more information and how to make a complaint. We do not provide legal or financial advice regarding your financial agreement. With that in mind we are not able provide information / assistance on how to dispute any charges relating to your VT.
We’ve love to hear about your experiences with voluntary termination. Let us know in the comments below if you’ve already voluntary terminated or are considering it. Your experiences will help others in the same situation. ‹ Dieselgate: Is the UK Government and Press in bed with VW? Is this a cover up? I have just gone through the VT process. I have an invoice for exceeding the mileage allowance. The letter I received quotes section 99 (2) of the consumer credit act which states any pre-termination liability is not affected by termination under the voluntary termination provisions. As you have not mentioned this specifically I just wanted to get your advice. Is this a standard response from car finance companies? Yes it is. Be sure to point out that the law states that your can not be charged for excess mileage when using your right to VT.
I’d be more than happy to contact them on your behalf to discuss this and also see their thoughts behind trying to charge you. Hope all goes OK and let us know how you get on. Further to this before you hand over any money you should speak to Citizens Advice with regards to their invoice and your rights. Hi Karl, I am facing a similar issue now I am trying to VT my car. I am being quoted a collection charge and an extra mileage pro-rata charge. My finance company are quoting the fact that the agreement I signed included provision for them to charge excess mileage. I was under the impression that the CCA would override this, but they are refusing to budge. Does the fact that my initial PCP agreement states their right to impose excess mileage and pro-rata matter if it goes against the CCA? Furthermore they are saying I can only challenge their charges after I’ve paid them! Many thanks. Please seek advice from the financial ombudsman to make sure you have the law behind you. No matter what type of contract you have signed you still have your rights. If you want to contact me direct on karl (@) Hypermiler.co .uk I’ll be more than happy to speak to them. Many people seem to back down but you do have rights. I have a similar situation to Angela – it seems that the finance companies are trying to get wise and put a clause in pre-empting early termination and therefore saying that it is not a breach of contract as their contract includes it! Can they enforce this? my excess is over £1000, so I really want to fight it. We have a case just going through now. They VT’d over the mileage and we’re waiting VW’s bill – if they dare. I have an Audi A4 2.0 tdi that was involved in the emmisions scandal, I have 1 month remaining on a 4 year PCP and I am looking to VT the car in the next few days as i have a new job with a company car. I have done 73000 miles on an agreement for 49000 miles, if I VT this month will I have to pay the £1700 mileage charge? I VT’d my car on the 26th (my next payment was due on the 1st) and they have accepted this but said I have to pay for the use of the car up until the 26th, which pro rata equates to £277. Am I liable for this? I will also have slight excess in mileage which I will be liable to pay for. My car is being collected very soon now that I have VTd it, as cannot afford the payments but have paid over 50%. There is no excess mileage charge but am so worried that they will charge me so much more for repairing any deep scratches, and re-spraying large parts of panels where they are. The car is 8 yrs old and high mileage. Can they just charge me what they like, and do they prove they did this – its not going to change the value much. I will let you know what actually happens in due course.